DETROIT, January 11, 2010--- Toyota today unveiled the FT-CH dedicated hybrid concept at the North American International Auto Show (NAIAS) in Detroit. 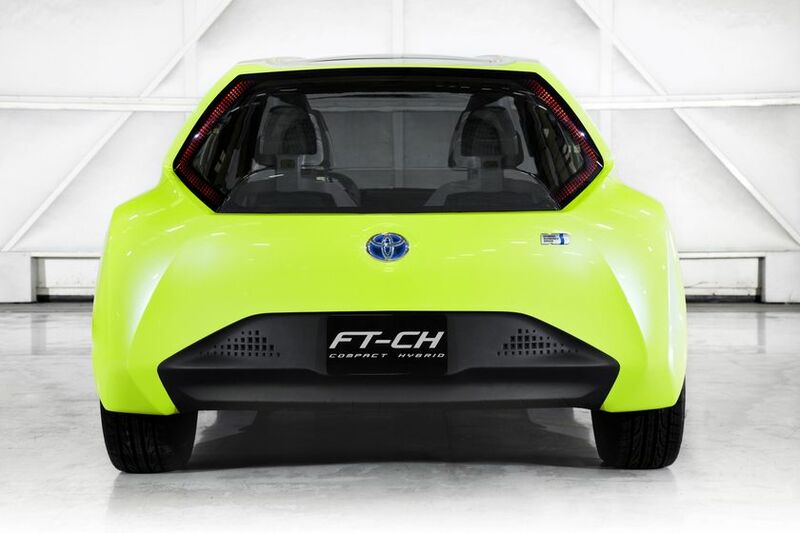 The FT-CH is a concept that would address Toyota’s stated strategy to offer a wider variety of conventional hybrid choices to its customers, as it begins to introduce plug-in hybrids (PHVs) and battery electrics (BEVs) in model year 2012, and hydrogen fuel cell vehicles (FCHVs) in 2015 in global markets. 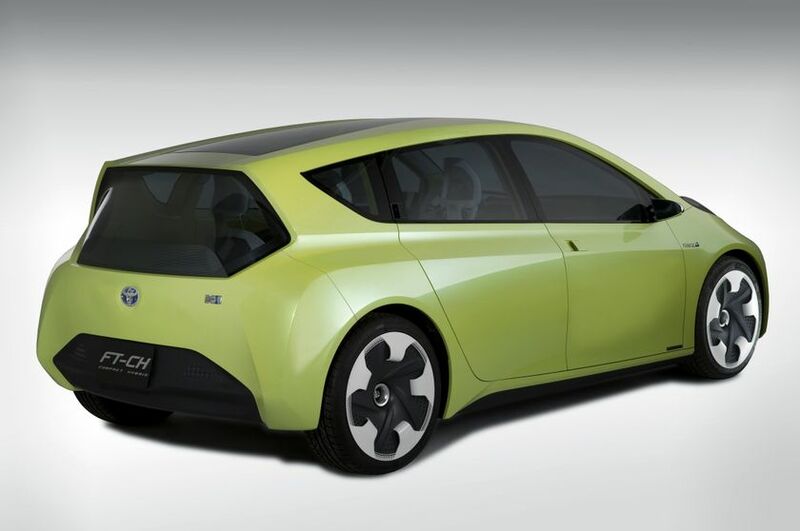 The FT-CH was styled at Toyota’s European Design and Development (ED) center in Nice, France. Compared to Prius, it is 22 inches (558.8 mm) shorter in overall length, yet loses less than an inch (25 mm) in overall width. In spite of its compact external dimensions, FT-CH was designed for maximum passenger comfort and interior roominess, with an imaginative sense of style. ED designers looked to capture the vivid, high-energy appeal of what has come to be called the 8-bit generation. Popularized in the early 80’s, 8-bit microprocessor technology dominated the budding home video game industry. Today, 8-bit is considered a specific retro-style that is embraced by such things as 8-bit genre music and 8-bit inspired art. 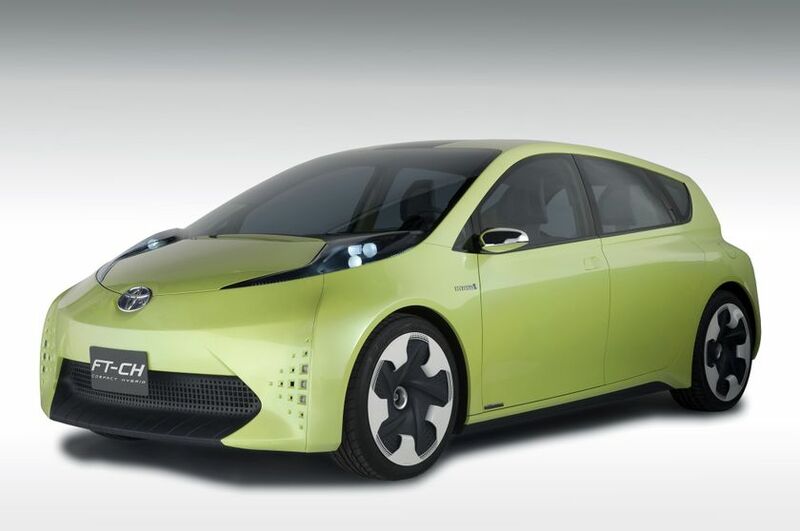 Pointing to how Prius has become a universal icon for hybrid technology, Toyota is developing a Prius family “marketing strategy” for North America that will take full advantage of the Prius brand equity. While the strategy is still in process, it will require additional models to qualify as a family; among others, the FT-CH is a concept that is under consideration. 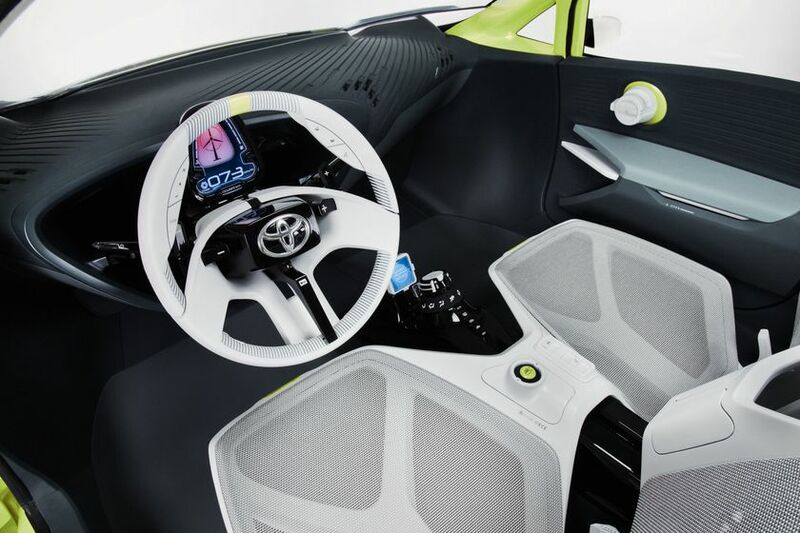 Moving the promise of electrification one step further, Toyota recently kicked off its global demonstration program involving approximately 600 Prius plug-in hybrid electric vehicles. Beginning early this year, 5 PHVs will begin to arrive in Canada where they will be placed in regional clusters with select partners for market/consumer analysis and technical demonstration. The Prius PHV introduces Toyota's first generation lithium-ion drive battery. When fully charged, the vehicle is targeted to achieve a maximum electric-only range of about 21 kilometres and capable of achieving highway speeds of more than 100 km/h in electric-only mode. For longer distances, the Prius PHV reverts to “hybrid mode” and operates like a regular Prius. This ability to utilize all-electric power for short trips or hybrid power for longer drives alleviates the issue of limited cruising range encountered with pure-electric vehicles. All program vehicles will be equipped with data retrieval/communication devices which will monitor activities such as: how often the vehicle is charged and when, whether the batteries are depleted or being topped-off during charging, trip duration and all-electric driving range, combined litres per 100 kilometres and so on. Recently field tested in southern California by two national laboratories at the request of the U.S. Department of Energy, the FCHV-advanced confirmed an estimated single-tank fuel range of 690 kilometres. In combined city and highway driving from Santa Monica to San Diego the FCHV-adv logged an estimated 109 kilometres per kilogram of hydrogen, the rough equivalent of 3.45 litres per 100 kilometres. That range is equivalent to a Highlander hybrid at less than half the fuel consumption with zero emissions other than water vapor. In 1997, Toyota introduced the RAV4 EV battery electric vehicle in California. 1,484 of these 160 kilometre range large-battery electric vehicles were either sold or leased over the course of the program. Nearly half are still on the road. program addressed a specific mobility niche at a much more affordable price than the RAV4 EV. Like hydrogen fuel cell vehicles, battery electrics will require the creation of infrastructure for recharging on the go. This issue of range is also a challenge to overcome. Even at 160 kilometres, BEVs as a primary mode of transportation do not yet offer what most consumers see as true mobility.